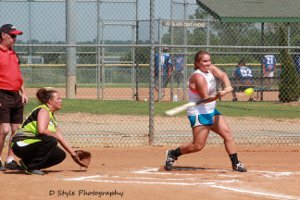 Rec: No MALE tournament players allowed; homeruns are inning ending outs. No more than 3 combined points per team allowed. Team A has 2 rec women + 3 E women players = 3 points. Team B has 4 rec women + 1 C woman player = 3 points. E2: No higher than E players allowed. (Division 2 is basically Rec Plus). E: Only two D players allowed; 1&1up. D/E: no C players allowed; 1&1up. Open: Players of all classifications allowed; homeruns are 3 and 1 up. 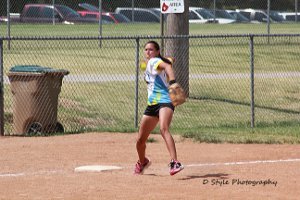 All Co-Ed players are classified according to their USSSA Co-Ed classification, if available, otherwise, their men's or women's classification will be taken into account. It is the coach's responsibility to know their player's classification. The co-ed director reserves the right to forfeit the game(s) any illegible player has knowingly & blatantly played in. 3 runs will be spotted to the lower caliber team. 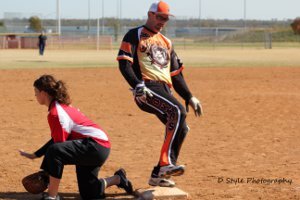 The team has the option to accept the runs and play by their caliber of rules or they can choose to play straight up and play by their league rules. If you are playing in combined leagues the rules will be adjusted accordingly for fairness and parity. A Rec team is playing an E2 team. If the Rec teams takes the spotted runs, then they have NO homeruns. If they forego the runs then they get the one homerun allowed in that league. To be eligible for the spotted runs all players must be of the lower league classification. That goes for prizes as well, except you must have played with your classification of players all season. League coordinator will establish equalizers as the caliber of the league mandates. Team placement is at the discretion of the league director and previous season standings are taken into account. If you have any questions as to the above email me at tasacoed22@yahoo.com or call 918-812-2275.